Janice Chandler-Eteme « joDah Ministries, Inc.
Janice Chandler-Eteme is regarded as one of the world’s foremost lyric sopranos. She has appeared as soloist under the baton of leading conductors with major orchestras in North America as well as with international groups, including those in Boston, Philadelphia, Cleveland, Los Angeles, Minneapolis, Montreal, Vancouver, Geneva, Rome, Japan, Hong Kong, and others. Ms. Chandler-Eteme’s astonishing range of concert literature includes Strauss’ Four Last Songs (Reading, Baltimore, Syracuse, Harrisburg and Utah Symphonies; Florida Orchestra, Fort Wayne Philharmonic; Grand Teton and Texas Music Festivals); Philip Glass’ Passion of Ramakrishna (Pacific Symphony); Mahler’s Second Symphony (San Diego, Baltimore, Nashville, Cincinnati, Colorado and Pacific Symphonies; Rome’s Santa Cecilia Orchestra); Haydn’s Die Schöpfung (Atlanta, Pittsburgh and Cincinnati Symphonies); Mendelssohn’s Lobgesang Symphony (San Diego Symphony), Lokumbe’s Dear Mrs. Parks (Detroit Symphony) and Can You Hear God Crying? (Chamber Orchestra of Philadelphia); the Brahms Requiem (San Diego, Baltimore, Colorado Symphonies); Mahler’s Eighth Symphony (Milwaukee, Grand Rapids, American and Montreal Symphonies); Beethoven #9 (Cleveland Orchestra, New Jersey and Houston Symphonies), Barber’s Knoxville: Summer of 1915 (Festival Miami, Baltimore Symphony), Tippett’s A Child of Our Time (Dallas and Santa Rosa Symphonies) and Britten’s War Requiem (Lincoln and Santa Rosa Symphonies and Evansville Philharmonic). 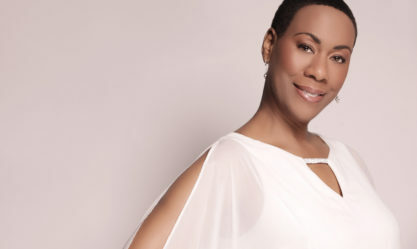 Ms. Chandler-Eteme’s recordings include an inspirational solo disc (Devotions), and the Dvořák Te Deum with Zdeněk Mácal and the New Jersey Symphony. In collaboration with joDah Ministries, Ms. Chandler-Eteme is now embarking on a recording project that will premiere original arrangements songs, centered around the theme “Preparation for Christ’s Return”. Janice is soliciting your financial support in raising $25,000 to defray production-related costs. To get started, simply enter your financial gift in the box below.